Welcome to the food-ventures of the Cooking Nerd. Not a gourmet by any measure - just a nerd who loves exploring the world of food, and experimenting in the kitchen. Come see all the culinary stupidity she is about to commit at the Laboratory of Edibles. 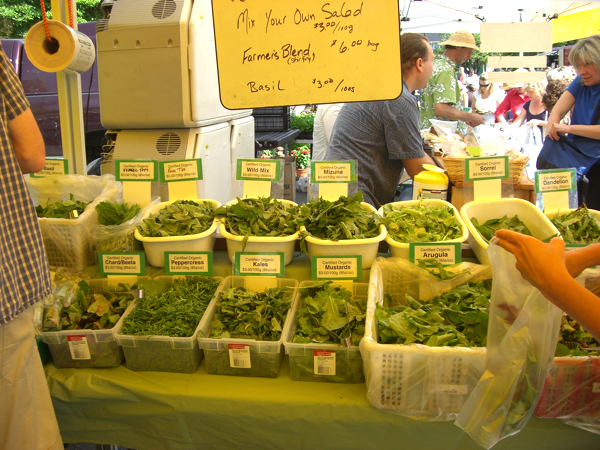 Summer weekends means farmer’s markets. I went to the one in Kits the past weekend. It was pretty small, compared to both Steveston and Ladner, but it had more produce in terms of quantity and variety… It could be just the particular vendors present, or the time of the season (even 2 weeks could mean the end of a certain produce). 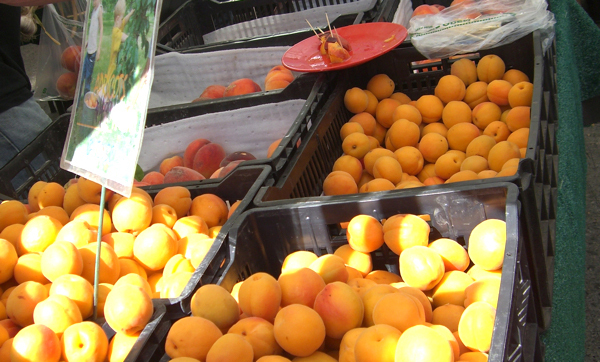 There were a lot of different types of fresh vegetables and a lot of apricots and many different kinds of cherries. Lineups were long for most of the veggie places, especially this one tomato stand. The only bread place for this bread fanatic was A Bread Apart, who, for 3 markets in a row, had out that fruity cranberry loaf. I found squash blossoms again, and I got some but they were a bit more expensive (50 cents each) than the farm that sold them at the Steveston market (6 for 50 cents). The ones with the zucchini attached were for a buck each. Yikes. 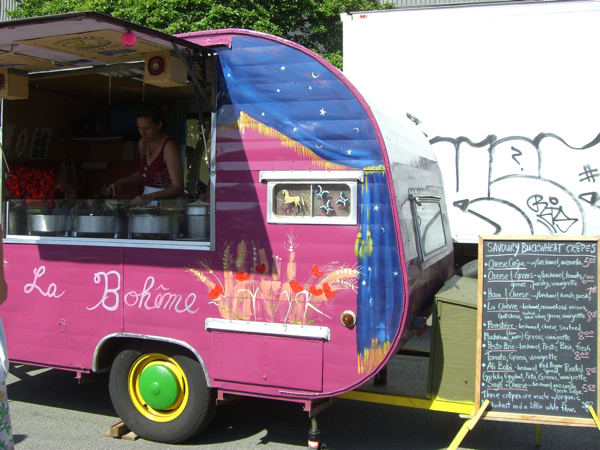 They make these awesome buckwheat crepes in their little purple van, in many many savoury and sweet varieties. 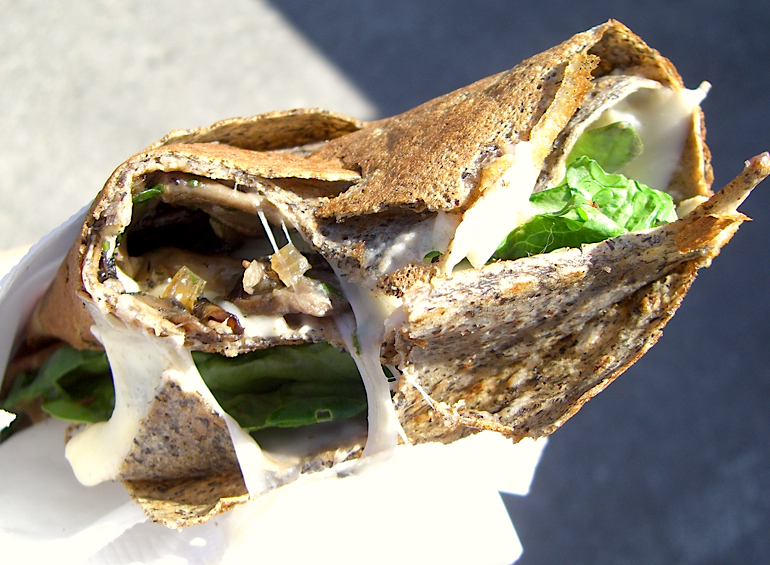 The one I tried and pictured above was the Forestiere – a cheese, mushroom and spinach crepe. It was sooooo good, and the lineups get a little long here too. Basically everybody I saw at the market was having their giant crepes. 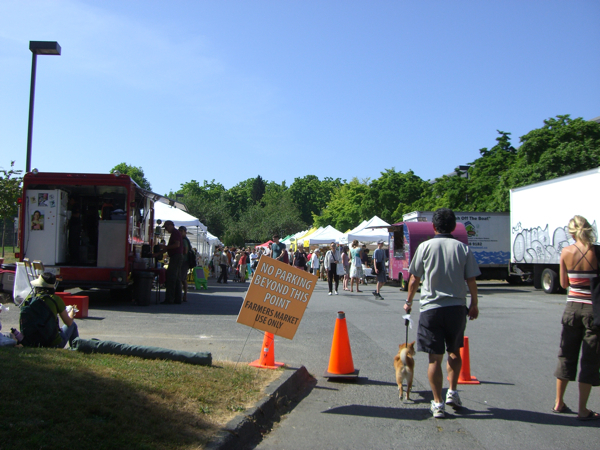 I think they also visit the Trout Lake farmer’s market, anyway, definitely check them out, they are awesome.